Microtubules from chicken embryo brain. Mouse ascites fluid, 1.2% sodium acetate, 2 mg BSA, with 0.01 mg NaN3 as preservative. 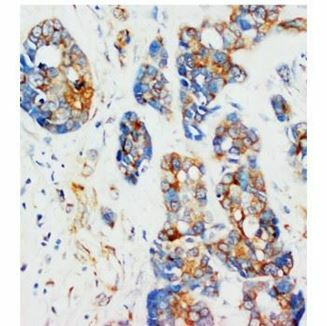 *carrier free antibody available upon request. 1.2% sodium acetate or neutral PBS. If 1ml of PBS is used, the antibody concentration will be 100 µg/ml.